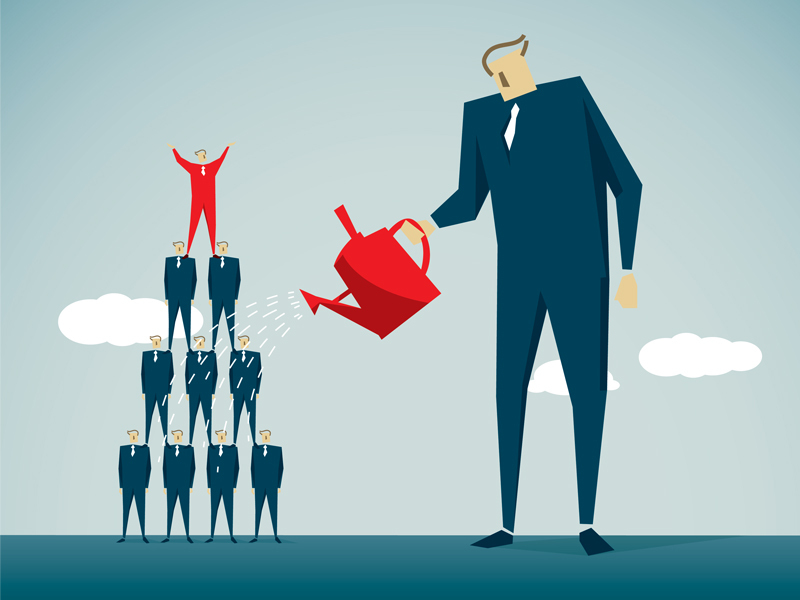 Your employees’ success is intrinsically tied with your own. Employee empowerment and engagement can be the key to a successful business and a happy, healthy environment for everyone. It can sometimes be easy for leaders to forget that their business relies not only on their own performance, but that of their employees. Your employees’ success is intrinsically tied with your own, and without them, you essentially don’t have much to offer. Empowering and engaging with your employees can be the key to a successful business and a happy, healthy environment for everyone. Micromanagement can be the downfall of many leaders, who prefer to keep a tight leash on every aspect of their business. It can be one of the biggest killers of trust amongst your employees. Try to avoid dipping into every nook and cranny, and instead, invest your effort into empowering staff with the tools they need to succeed. Assess at each point if the outcomes are what you are looking for and guide from there. Your employees will trust you when you trust them. Learning through managing others can be an incredible tool and learning curve for your staff, whether it’s managing a team of interns at the lower levels or your senior staff assisting you with managing the rest of your team. Instead of simply telling your employees that they have the power and autonomy it takes for success, why not let them put their skills into practice? This will develop confidence and decision making skills while allowing them to get to know their teammates even more closely. Each member of your team is like a piece of the unique puzzle that is your business, and while you know exactly how the bigger picture looks, it can be very difficult for some employees to see where they fit in, or see themselves as a valuable part of the team. How can you expect your employees to trust you if you keep them in the dark? Letting them in on the bigger picture will let your team focus on a shared goal. One of the biggest compliments we receive here at Agent99 PR is how well our close-knit team works together. This is because each team member knows their value, and strives to contribute so that we as a team can exceed our clients’ expectations. Creating a safe environment for this to occur is crucial to allow for open, honest communication throughout your business. Build connections at every level of the business wherever you can. There is nothing more empowering for your employees than telling them they have a voice, and that their voice matters. This is one of the best ways of building trust with your staff, and demonstrates that you have faith in their abilities. This will not only help them learn quite quickly, but should give them a little boost in confidence that will go a long way! This also allows for employees to take responsibility for their own errors, and take credit where credit is due. Coming under the same umbrella as micro-managing, your employees will feel much more confident knowing you trust them enough to manage their own time. The way in which daily tasks are juggled is very personal, and everyone has different ways of handling things. Let your team be their best in their own ways, but do make it clear to them that you’re just an email away if they need guidance! The best method is to set guidelines or loose timeframes for your staff, letting them hash out the specifics themselves. You may find that your employees learn much faster this way too. I find building rapport and openness through heart to heart conversations is extremely affective. You don’t need to be best friends, but sharing how you feel about the work regularly means there are no surprises at any point. From the outset, I made it an Agent99 ritual to have monthly ‘coffee catch-ups’ with each individual member of my team so I could better understand them, exchange honest feedback about where they’re at with the business (both good and bad) and voice any concerns they have. Your staff will really appreciate the personal approach, chance for positive recognition and opportunity to voice any issues with their position or with their team. All in all, keeping great talent really can mean the difference between a business flourishing or failing. I would say I spend up to 75% of my time working with my team so they feel nurtured, listened to, and valued. Take the steps to empower your team and assist their leadership and management skills – you will notice a world of difference! Having worked in the industry for 15 years, public relations veteran Sharon Zeev Poole founded her own company in 2007; Agent99 Public Relations.